Do people shop on phones? You’re sitting in a coffee shop waiting for your next appointment when you spy the perfect bag on the shoulder of the lady at the counter. You can make out the brand as she turns to check the line behind her. What do you do? You shop mobile, of course. And, you’re not alone. In 2012, online purchases from mobile devices (phones and tablets) totaled $25 billion, 81% more than the year before. 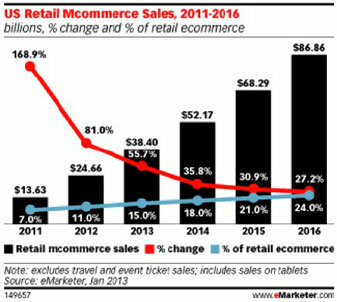 While these figures are just a small slice of the e-commerce pie, a mere 11%, numbers for mobile sales are expected to grow to 15% in 2013. An even more exciting bit of information? eMarketer predicts this pie slice to grow to $87 billion by 2016, a slice that’s 25% of e-commerce sales. 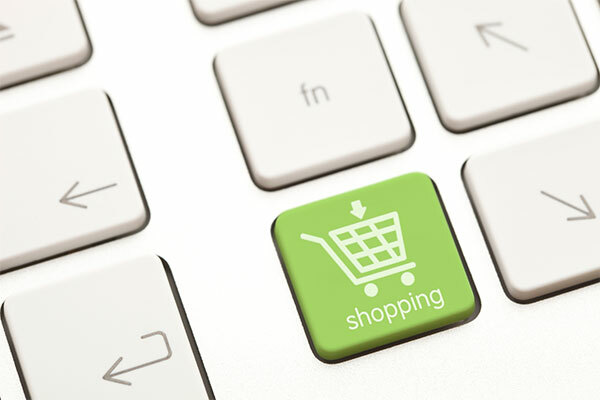 As exciting as this may be, consumers may be surprised at the relatively slow growth in mobile e-commerce sales. Why is growth slower than one might think? How is the industry reacting? Smartphones and tables are making progress addressing consumer concerns. Sizes of phones are growing to comfortably accommodate typical hand sizes and screens are getting bigger. Just look at the iPhone 5. Larger players in the e-commerce game, such as Amazon.com and eBay have invested significantly in their mobile commerce sites. eMarketer noted that mobile shoppers have responded by spending more money per order- an average of $329/ order on tablets and $250/ order on phones. In 2012, sales on tablets surpassed those on smartphones: $13.9 billion as opposed to $9.9 billion.